This week ThinkGard is pleased to announce the hiring of Eugene Rudy in the new position of Director of Government Sales and Relations. In his role, Eugene will serve as a business-continuity/disaster-recovery advisor to public sector organizations and agencies across the US. As former executive director for the Georgia chapter of GMIS International (the country’s largest association of public-sector IT professionals) Eugene has worked with multiple public sector organizations with focus on preventative measures, disruption planning and rapid response mitigation. He’s also served in various capacities with GMIS International and is a member of Infragard, a partnership between the FBI and the private sector dedicated to sharing information & intelligence to prevent hostile acts against the U.S.
Eugene has served in communications and logistics units in various emergency management incidents, including the Cumberland Island Wildfire and Tropical Storm Faye in 2008 and Tropical Storm Beryl in 2012. “The public sector has a obligation to the general public, and that includes providing those services essential to first responders, and the communities they serve. Technology leaders in government are responsible for providing disaster recovery preparedness, maintaining standards for compliance, security and truly understanding what it means to be capable of operating “business as usual” in a worse case disaster scenario. Whether the threat is internal like a virus or human error, or external in the case of Mother Nature, a well designed and tested business continuity plan will be able to support the organization through the unexpected outages. ThinkGard is committed to the Public Sector industry and to public safety technology leaders who serve the communities across the US. I am proud to join a group that is steadfast to success of their clients, and the integrity of Digital Security in the 21st Century” stated Eugene. With Rudy’s Nearly five years of leadership experience in the Government IT sector, including nine years as the IT director for the City of St. Marys, Georgia, “He’s well positioned for success.” says Kevin Kuller co-founder & CTO, ThinkGard. “We are excited to have Gene on our team. Knowing that he shares the same values will only strengthen our position as pioneers and experts in the managed service provider space.” says CEO, Paul Franks. 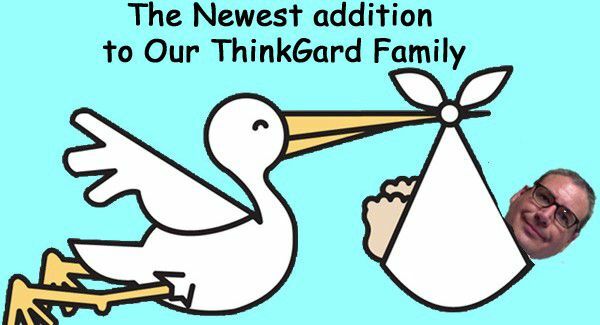 About ThinkGard: ThinkGard is a technology Risk management company in Alabama that specializes only in business continuity, backup & disaster recovery services for technology systems as a turnkey managed service.